Veterinarian Dr. Kate Papp is one of those people whose brain is always on overdrive, as if it has its own direct infusion of caffeine. She sometimes has to gulp for air mid-sentence because although she speaks fast, it isn't fast enough to get one thought out before another one breaks through. She frequently wakes up at three in the morning, flipping on the light to scribble down thoughts and questions about her most difficult cases. 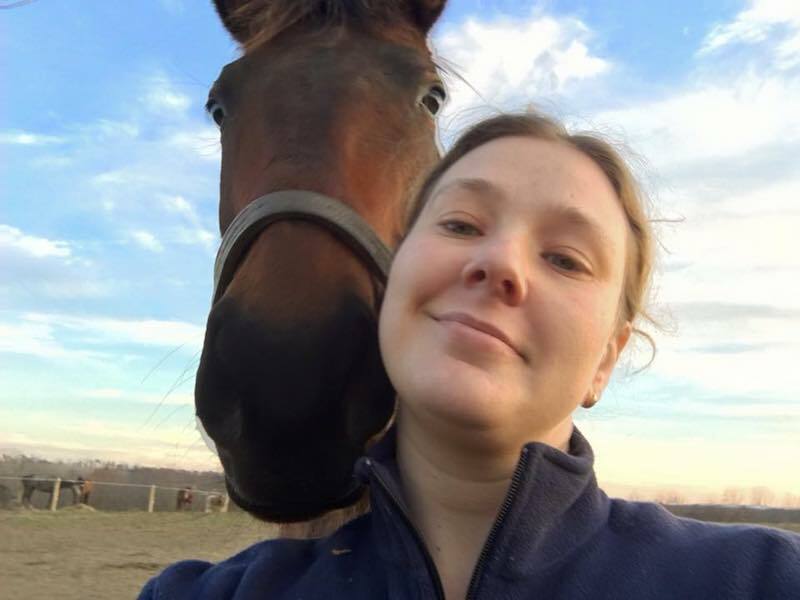 Based in Pennsylvania, Papp has her own veterinary practice specializing in orthopedics and also runs a non-profit called Pennsylvania Racehorse Rehoming, Rehabilitation and Rescue (PARR). With one foot on the racetrack and one in the rescue world, Papp is unusual in the realm of track veterinarians. This, years before the federal investigation of trainers for allegedly altering medical records to hide the use of therapeutic medications on race day. It might be easy to think Papp hates horse racing, especially given the harsh criticisms she still lobs at the business. Papp's Facebook page attracts pro-racing enthusiasts, who come to defend the sport, and anti-racing advocates who expect to find an ally in her and are sometimes bitterly disappointed. She accepts friend requests from all and listens to everyone (one of many reasons, perhaps, her brain is always humming). For Papp, the sport is neither full of angels or devils. It's more complicated than that. Papp grew up in New Jersey, crazy about animals for as long as she can remember. Her parents introduced her to horses and paid dearly for it, gradually capitulating to her pleas for a horse to lease, then one of her own, then two. 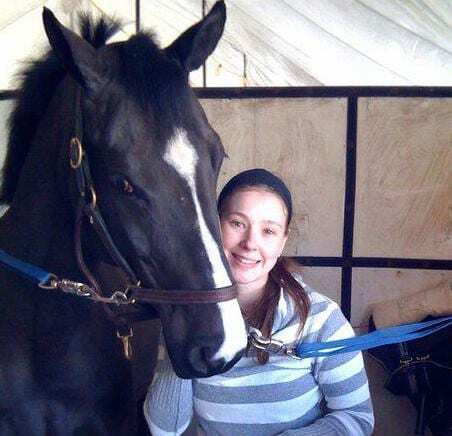 By the time she completed prep school and went to the University of Vermont at the age of 16, she was showing hunter/jumpers on the weekends and riding with nationally-recognized trainers. She paid for an off-campus parking space at a local gas station to enable a quick exit at the end of the school day so she could get back to the barn to train. She went on to the University of Guelph veterinary school in Ontario, taking classes during the week and flying down to Florida on winter weekends to show. Somewhere around this time, Papp said she developed a near-photographic memory and the ability to skate by on little sleep – skills that come in handy today. When she graduated, Papp spent 18 months at Fair Hill working for Dr. Kathy Anderson before going out on her own. She followed a boyfriend to Pennsylvania and was hired by veterinarians to give Lasix at Penn National, which is where she said she saw as many as 20 shots given at Lasix time. Her motivation throughout those years (which were also peppered by late night and early morning shifts at part-time jobs) was always an intense, protective love of animals. It is this love which fuels most everything she does these days. During the most recent convention of the American Association of Equine Practitioners, Papp confided she imagined being named among the presenters there, offering new research on the latest treatment for injuries or surgical findings. Instead, she splits her time between her practice, where she handles racehorses and sport horses, and Pennsylvania Racehorse Rehoming, Rehabilitation, and Rescue (PARR), a 501(c)(3) nonprofit launched in 2012. 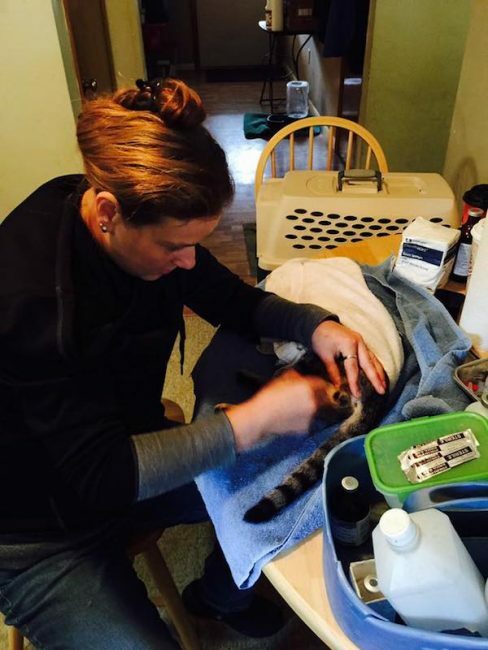 As a veterinarian, Papp prides herself on remaining in close communication with her clients. Her specialties are lameness diagnosis and second/third opinions on tough cases. She fields questions from clients (and non-clients) round the clock. As far as she's concerned, education is part of her responsibility – even if it means putting in a lot of consulting time with no paycheck. “I tell them, 'I'd much rather have you call me every day with something stupid and prevent a problem than wait until your horse has been down for three days and is dehydrated and it's a problem I can't fix,'” she said. Her most puzzling cases are her favorite. There was the off-track gelding whose trainer requested he be put down due to a lingering knee problem. When Papp could find no serious problems in the knee, she pulled up video of his most recent starts and watched as he hopped coming out of the gate, slamming his elbow on the metal before bobbling off. He had repeatedly hit his radial nerve, she realized – a similar sensation to a human hitting their funny bone – which had caused lingering pain. She rehabilitated him. Then there was the rescue mare with massive behavior problems who bolted one afternoon, tearing up an expensive bridle. After careful observation, she x-rayed the mare's muzzle and found an old fracture of the nasal bone which had calloused in just the spot for a noseband to rub. She worked her in open headstalls and regained her trust. This interest in a veterinary mystery makes Papp the ideal call when a horse is in trouble. Through PARR, 250 horses have found adoptive or foster homes, and Papp has several lifelong retirees/special needs cases on her property at any given time. Of course, both animal rescue and veterinary medicine are known to be high-stress, high-burnout fields. Papp admits she's still trying to find a balance. A combination of meditation and noise-cancelling earbuds eases her sleep and she occasionally allows herself a weekend to crash. That's because burnout is permanent, and Papp has too many problems to tackle to walk away now. She wants more attention and research into on-track injury prevention. She's trying to figure out how to take more horses out of the slaughter pipeline. She's workshopping one of the first Thoroughbred retirement accounts for a yearling she bred. She's pushing for whip rule reform. “There's so much more to do and it's unfortunate,” she sighed. This entry was posted in NL Article, Ray's Paddock and tagged Dr. Kate Papp, Dr. Kathryn Papp, OTTBs, parr, penn national, pennsylvania horse racing, pennsylvania horse racing commission, pennsylvania racehorse rehoming rehabilitation and rescue, Thoroughbred aftercare, veterinarians by Natalie Voss. Bookmark the permalink.